On Thursday I relocated the White-tailed Lapwing Vanellus leucurus that Phil had found about ten days earlier on the muddy edge of the percolation pond. This is only the third record I know of for the camp although there have been quite a few records for the Eastern Province. 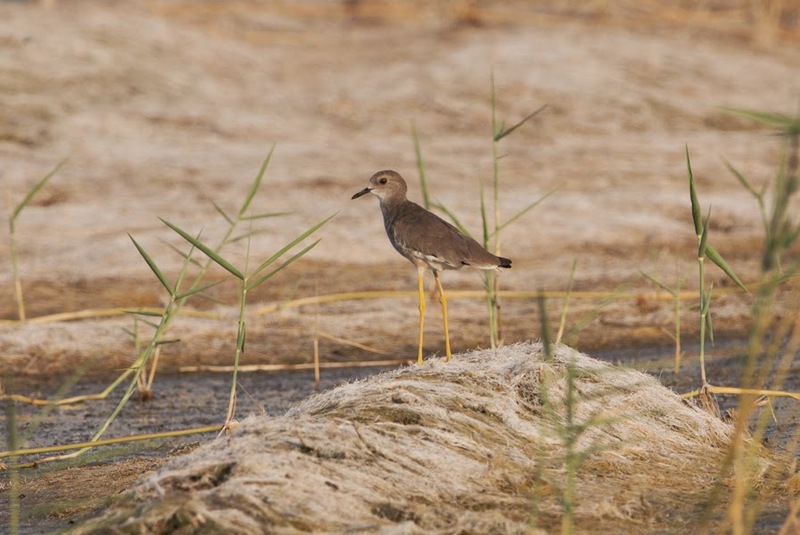 Phil also found four birds on the spray fields on 22 February 2014 that were the first ones I had seen on the camp with this one only the second record for me on my local 'patch'. 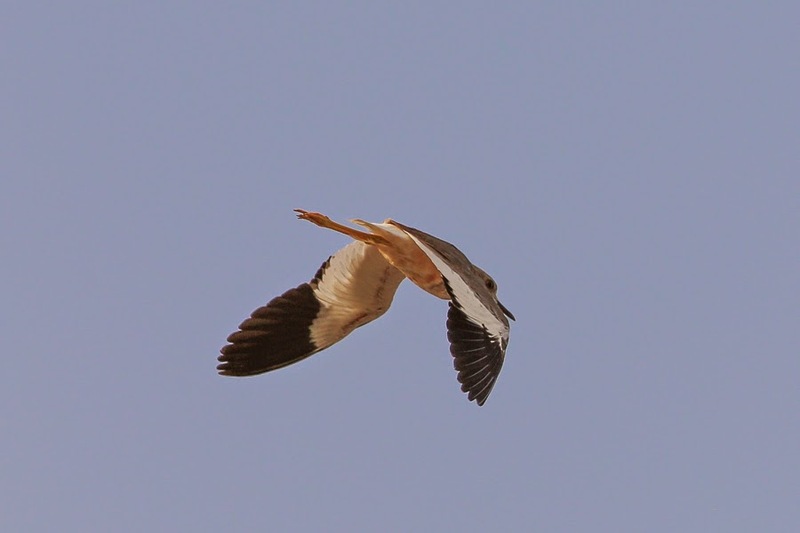 The bird was very timid and flighty and would not allow close approach but luckily when some runners flushed the bird it flew right overhead although the light was not particularly good for photos. 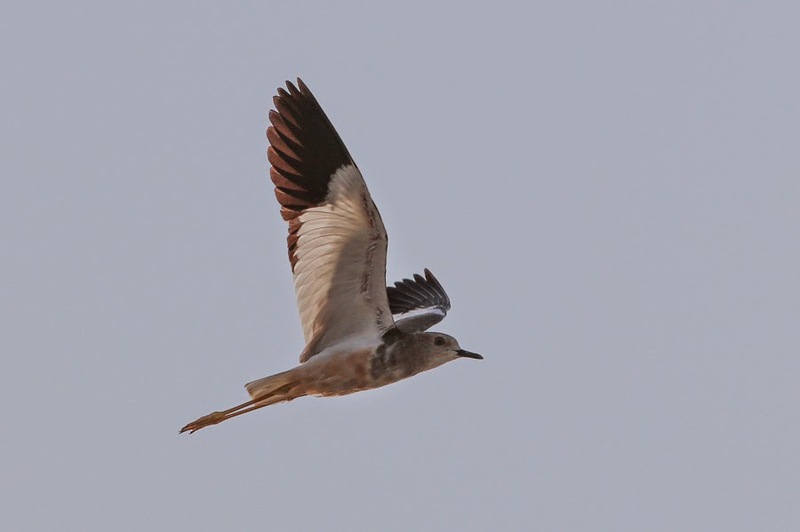 It has been a good year for Lapwings in the Eastern Province this year with Red-wattled Lapwing at both Dhahran and Sabkhat Al Fasl, Northern Lapwing in the north of the province and White-tailed Lapwings as mentioned above.